Union of Concerned Scientists (UCS) is a nonprofit organization that does essential research to help better our environment and climate. Please check out a recent UCS blog post about crop diversity: what it means and why it is important. Don't forget to donate if you can and subscribe! Sage's birthday was on March 24th! 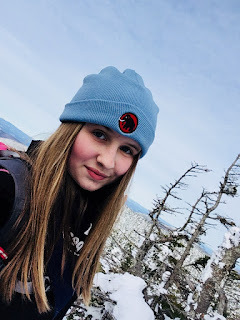 Now that she is 13, she has created her own blog called Sage's White Mountain Treks. Please check out her blog! Sage and I will alternate posting on our blogs each week. On March 5th, we had the wonderful opportunity of hiking the Wildcats with Gale Straub. 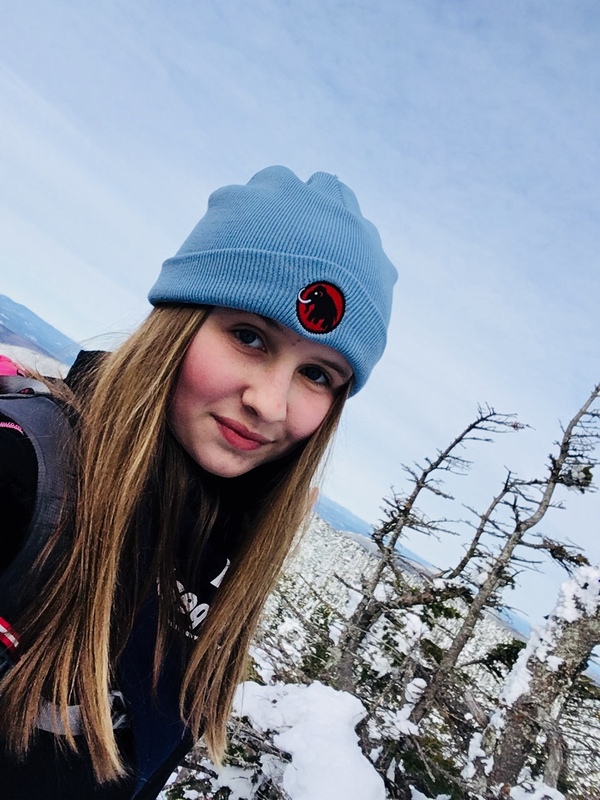 After the hike, she interviewed us for her popular podcast She Explores. I am honored and excited to be part of such an inspirational, female-empowering podcast. In her podcast, Gale interviews accomplished women from many different locations and backgrounds. The episode we are featured on, called "The Girls Behind 'Granite Gals'", has come out! After she interviewed us, we interviewed her for GraniteGals. This week has been productive but busy; I had a major test in one of my classes that I took on Monday (so I could not hike that day). The only day of the week left for me to hike something was Tuesday, but I tutor someone every week at around 10:30 am every Tuesday. Crazy times! We decided to hike on Tuesday and wake up earlier than normal so we would be finished the hike on time to run to my 10:30 engagement. Conveniently, we needed to hike Cannon for the Grid during April, so this was a perfect opportunity to hike something short, due to my complicated schedule for that week. Even though it was early and the sun had not come up, it did not feel particularly cold outside. As many White Mountain hikers know, Cannon immediately begins with a steep ascent. As the sky lightened, we could see more detail and more distinct outlines and shapes. The higher we climbed, the better the views! We came to the section of trail that skiers sometimes use. The views became enchanting when the sun began to rise. We arrived to the place where the trail goes above treeline to a lookout before heading up the actual summit of Cannon Mountain. The final ascent to the official Cannon summit does not feel difficult at all for us, but that may be because the hike up to the lookout point is so steep in comparison. We stopped to fully take in the breathtaking views. We reached the ski resort building on top of Cannon. Franconia Ridge looked even more spectacular now with glowing sky emanating from behind its peaks. We took a short break on the summit before heading down. I took some summit selfies! We saw no other people on this hike since we did it so early in the morning. We had the summit to ourselves! The birds were chirping so much on the way down. It was lovely to hear! Avalon Trail, A-Z Trail, Willey Range Trail. For our hike of Tom, Field, and Willey on the 21st of March, it was fairly cold outside; we moved quickly to warm up. The trail was decently packed out. One of the perks of hiking during early morning hours is we get to observe a gorgeous sunrise through the trees on our ascent. We were able to turn off our headlamps once it got lighter outside. We began hiking up to the summit of Mt. Tom. I took a Pano attempting to capture as much beauty as I could. These are nice snacks to have while hiking. We each munched on one of these on Mt. Tom. Back down at Mt. Tom Spur! We continued hiking to Field. A tree archway just for us (okay, maybe not)! The hike up Field is very gradual. This was one of the rare occasions when we actually had views on Field! We definitely appreciated them. The summit was peaceful, and the temperatures of the day had increased, so it felt comfortably warm on Field. After taking a nice break on Field, we kept hiking to the summit of Willey. The Presidentials looked magnificent from the ridge. The views from Willey were stunning! We were lucky to be up there on such a clear day. We had a perfect view of Mount Washington and the other Presidentials. After Willey, we turned around and went back the way we came to head back down. On Mt. Field (coming back), a couple gray jays chirped and flew around us. That's it for my two blog posts! The views were amazing for both hikes. I’ve recently started following your various blogs about hiking and I have to say that even though I’m a guy, I still find them very touching and inspiring! 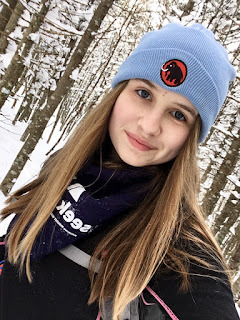 I have mild autism and I have found that for me, hiking solo is a great way to get away from all the noise of life and find my inner peace, not to mention appreciate the beauty of nature! Now that I’ve graduated from college I finally got the opportunity to leave Houston (not the best place to live for a shy nature-lover like myself, if I do say so) and move to Denver - and I couldn’t be happier. To quote one of my Mom’s favorite songs - hold your head up movin’ on! It is wonderful that you moved to a place which made you feel more content; I can imagine that it must have been difficult at times to live in such an urban place like Houston as a person who loves nature and solitude. Thank you for your comment, and I hope you have amazing hiking experiences planned for the future!